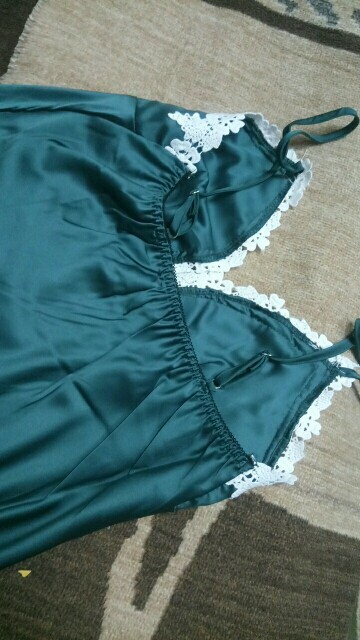 Very beautiful Pajamas! 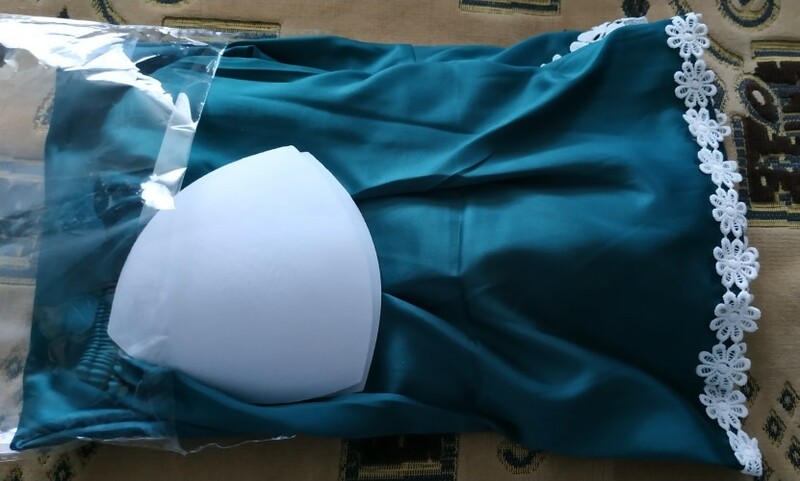 The parameter memory 80/61/88 fit size M) beautiful, nice body, recommend! Good set. Malomerit M-it is about XS, synthetic, electrified strongly. Pleased service delivery Mist Express, brought the work. 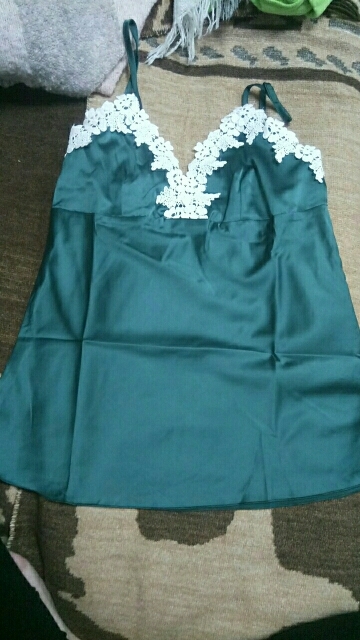 Looks good pajamas, but a terrible smell, go to wash.
Order came a month. pajamas are very cool. without defects and odorless. material is very nice. the tank top for bust with insert, the straps are adjustable. I am very happy. Pajamas came in 20 days with tracking. Wear size S, xs, pajamas took M. My settings Og 84, From 65, About 86. 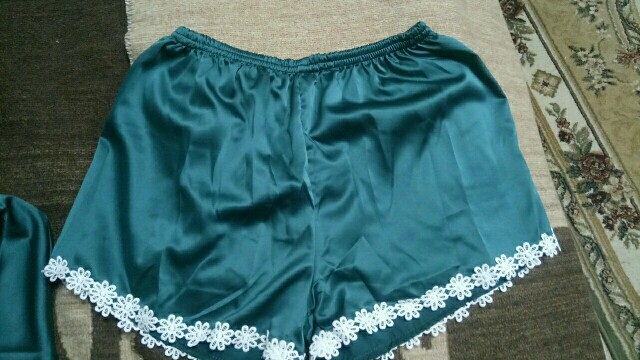 Pajamas just shorts movement quite roomy in them, nothing less than the size not need. Fabric soft, comfortable bed, skin breathe. Thread a little on the stick, but it is nonsense, gather, seams проаверложены and well. First pajamas store carried by 2 years, even in hot weather it was comfortable. Pajamas super. Does not stick the lace are very good. Fabric is quite nice body. Very happy with the order. Goods tracking, Belarus came, surprisingly, very fast!! Everything is fine. Do not stick out. No smell. A 44-46 village is perfect. Delivery fast. 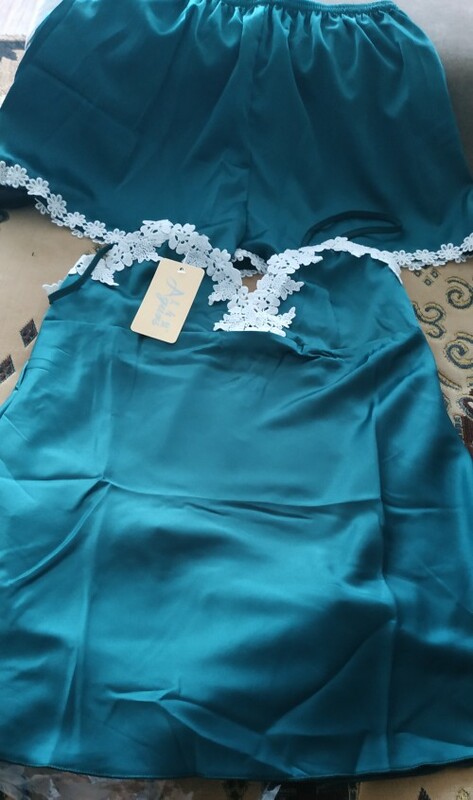 Very cool Pajamas, gloss is not too strong, cool overcame, quality excellent, size fit, wash does not fade, waist 60 hip 92 bust 85, took M, fit, never pull and at the same time not loose, came quickly. Goods store recommend. Immediately ordered 2 set: blue and red. All come with size. A 42-44 ordered size M.
Size as store described, fast delivery, about three weeks, recommend this pajamas! All great! Quality on top! Thank You Very Much! Excellent quality! Color as the photo, soft, flowing fabrics. He took on M-sat. The figure at the same time a little loose. Shipping, less than three weeks. Recommend! 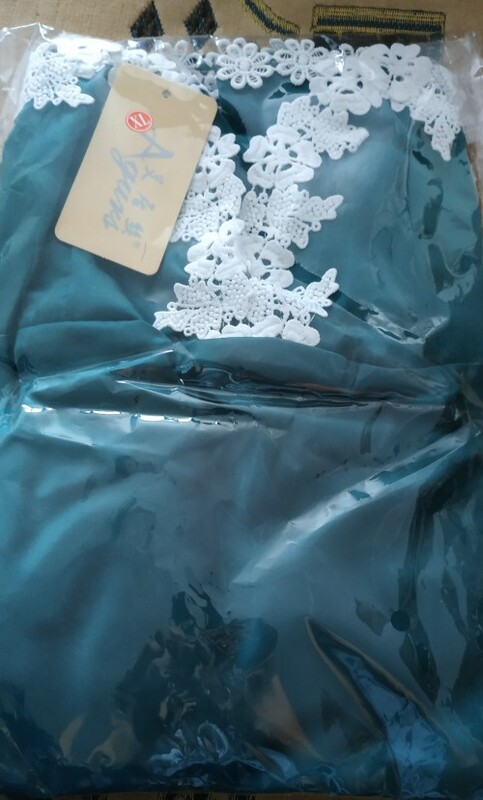 Thank you very much I am very happy with the order, size HL, fit for 44-46, only to the chest with a large bust not suitable (note). Pajamas perfect! I love it!!! Pajamas super-duper me very much. Flat seams do not stick out wear size 42 m and took the wrong, think order in other more color. Do Ekaterinburg Was less than a month. Thanks to the store.